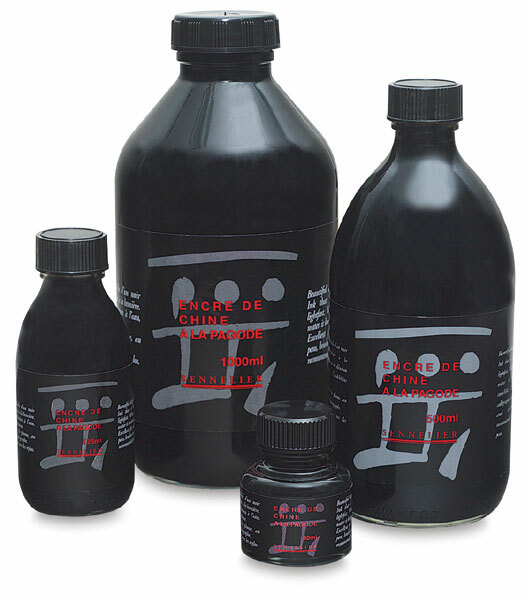 This intense black indelible ink has exceptional density and is completely lightfast. It is free-flowing, non-clogging, and waterproof. Apply it with a brush, or dip pen to paper, board, and other absorbent surfaces for stunning washes or precise lines.